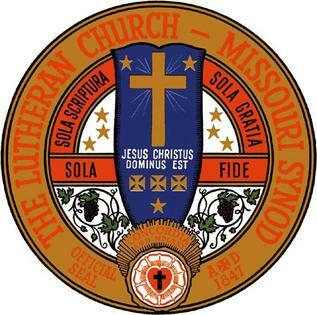 In the past week or so, congregations of The Lutheran Church-Missouri Synod have been bombarded with glossy brochures criticizing the current president of synod and his administration, and promoting their own candidates for president in 2019. Propaganda for or against synod officials is nothing new, having been initiated by “progressive” forces in the 1935 convention, which led to the deposal of President Frederick Pfotenhauer and the election of John W. Behnken. What was “Jesus First”? I published an article titled “What is Jesus First?” seventeen years ago that explained that “change-promoting” organization in detail (see Affirm 25 no. 2 [May 2001]:6-9; reprinted in Christian News 39 no. 22 [May 28, 2001]:1, 18, 19). “Jesus First” (hereafter JF) was an organization formed after the 1998 synod convention. It started publishing in print in 1999 and later was also online. It was clear that they wanted a change in synodical leadership and were targeting their complaints primarily at President Barry, the LCMS Board of Directors, and Secretary Hartwig. JF successfully elected Gerald Kieschnick in 2001, because Barry died in office, though they were not successful in deposing Secretary Hartwig. The newsletter titled Jesus First indicated a return address to Concordia Lutheran Church, Kirkwood, Missouri, just down the road from the synodical offices. Their bulk mail indicia was registered in Cleveland, Ohio. Unlike CM, JF had most of their authors sign their articles. Unlike CM, JF listed its Publication Team, which in the beginning included: Vernon D. Gundermann (at Concordia, Kirkwood, Missouri), Richard P. Lessmann (in northeastern Alabama), and David Luecke (in the Cleveland, Ohio metropolitan area). JF ceased publication in 2010 after the election of President Harrison, and its website has been defunct since that time. There were other “change-promoting” organizations concurrent with JF. Probably the best-known among synod-watchers was “Daystar,” which still has an active website (www.thedaystarjournal.com ). Daystar started publishing online in 1999, at the same time as JF. It advocated more radical changes than JF. Daystar editors have been Robert Schmidt and Matthew Becker. Their editorial board has included: David Benke, Eugene Brueggemann, Carol Schmidt, David Stein, and Karl Wyneken. I noticed a drop-off in the number of published articles by Daystar in mid-2017, which reduced article count continues today. One possible explanation for this sudden change is that some of the Daystar authors started writing anonymously for CM. There could be other explanations, such as loss of interest by the Daystar group in its causes, change of leadership, etc. Prior to the establishment of JF, there was a change-promoting organization known as “Lutherans Alive,” which published a newsletter titled Forward. Forward began in 1995, just prior to the synod convention that year. It was published from 1995 to 1998, ceasing publication when JF began. Like JF, “Lutherans Alive” wanted a change in synodical leadership and were targeting their complaints primarily at President Barry, who was elected in 1992. Their main cause seemed to be the broadening of the LCMS traditional practice of “closed communion.” The return address for Forward pointed to “Bishop and List Interests” of Boca Raton, Florida, which was the organization that also published the Florida-Georgia district newsletter at that time. The bulk mail indicia for Forward was also registered in Boca Raton, Florida. For those who do not know about synod’s workings prior to 1995, here is a brief recap. Prior to “Lutherans Alive,” the synod was embroiled for a triennium (1989-92) over the illegitimate deposal of Dr. Robert Preus from the presidency of the Fort Wayne seminary. This conflict was resolved by the election of President Barry instead of the incumbent Ralph Bohlmann, though it never really resolved the injustice done to Preus, his family, and his colleagues. From the splitting-off of the AELC in December 1976 until 1989, the synod was at relative peace with itself. Prior to December 1976, the synod had experienced a gradual liberalization of its Saint Louis seminary and other agencies, resulting in the Seminex explosion of January 1974. This history is detailed from the change-promoting side in: John H. Tietjen, Memoirs in Exile: Confessional Hope and Institutional Conflict (Minneapolis: Fortress Press, 1990) and Richard O. Johnson, Changing World, Changeless Christ: The American Lutheran Publicity Bureau, 1914-2014 (Delhi, NY: ALPB, 2018). It is detailed from the conservative side in: Kurt E. Marquart, Anatomy of an Explosion (Fort Wayne, IN: Concordia Theological Seminary Press, 1977), Paul A. Zimmerman, A Seminary in Crisis (Saint Louis: Concordia Publishing House, 2007), and David P. Scaer, Surviving the Storms: Memoirs of David P. Scaer (Fort Wayne, IN: Luther Academy, 2019). Delegates to the summer 2019 convention in Tampa, Florida can begin to prepare for the convention by reading some of these books. Though not a delegate, I look forward to reading Scaer’s memoirs for new insights into this history! Permit me to also mention one organization within our Synod by name: the Association of Confessing Evangelical Lutheran Congregations (ACELC). These valiant men and women have taken a bold and necessary stand against the errors so wide-spread in our church body. They rightly issued a Letter of Fraternal Admonition in July, 2010, to alert us to the heterodoxy within our Synod in the sincere hope that the errors would be dealt with by those ecclesiastical supervisors elected to office in our Synod. Despite their good work, virtually nothing has changed. The ACELC, like other faithful organizations before them, have simply been ignored. That is the standard mode of operation for our Synod when faithful Lutherans raise their concerns. A significant error was made by the ACELC and I was party to that error myself when I served on the ACELC Steering Committee and then as the Chairman Pro-tem of the organization. At the beginning of the ACELC’s efforts the goal was to have the Synod deal with its errors or have them deal with us. When President Harrison was elected, we decided to say that we were not interested in leaving the LCMS but wanted to encourage the Synod to reform itself. That was our error. I would personally never belong to a congregation that would commit to never leaving a Synod no matter what that Synod did. Neither should the ACELC. Indeed, it is fact that the minute that we told three representatives of the COP who met with members of the ACELC Steering Committee in 2010, that we did not intend to leave the Synod, then they were finished speaking with us. What has clearly been experienced over the past nearly nine years since the ACELC’s Letter of Fraternal Admonition was issued is that the LCMS simply stonewalls the concerns of the orthodox Confessionals within the Synod. To put it succinctly, its high time we recognize that the Synod will not be responsive to orthodox, Confessional concerns. Since that is the case, orthodox Confessional pastors need to take care of their flocks. They need to form a new Synod. We desperately need the rebirth of an Old Missouri, and we need it now! You ignore the great spiritual union of the Augustana’s “satis est” and the LCMS constitution (develop an appreciation of a variety of responsible practices and customs which are in harmony with our common profession of faith). I don’t think they mean Divine Service I vs. Divine Service II. 2] And to the true unity of the Church it is enough to agree concerning the doctrine of the Gospel [this is justification by grace by faith alone] and 3] the administration of the Sacraments. Nor is it necessary that human traditions, that is, rites or ceremonies, instituted by men, should be everywhere alike. 4] As Paul says: One faith, one Baptism, one God and Father of all, etc. Eph. 4:5-6. It is enough to proclaim the gospel and rightly administer the sacraments. Differences in man-made worship forms do not matter, as Lutheran liturgy exists to teach us to be Christians, not mimic the book of Revelation. Name one Lutheran doctor of the church who taught that the high formalism of the Church of Sweden was more confessional than the Church of Wuerttemberg, which never had a liturgy. The worship of the church is rooted in the doctrine of justification, not ceremonialism. This does not mean, “Well, why not just dress like a queen? The instructions are in Revelation, after all.” What a Reformed understanding of the Bible is this! Rather, we understand this to mean that the church is God’s priceless, treasured bride, despite that the world despises her message and our own sinfulness and lowliness. You also declare that the synod is a heterodox idol and advocate for schism. This is based on personal preferences and misunderstandings of your own viz. Experiences different than mine, that all LCMS churches do not post announcements that LCMS altars are for LCMS communicants. In my experience they do. I’ve even been quizzed at the altar once while visiting an LCMS church where I forgot to speak to the pastor beforehand. Women lectors. 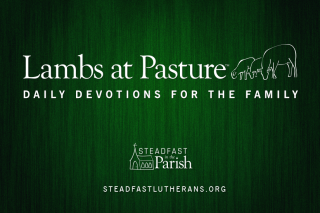 The LCMS defines the pastoral office correctly and narrowly as one called by the congregation on their behalf as the royal priesthood to preach the Gospel and administer the keys and sacraments. The pastoral office is reserved for men. 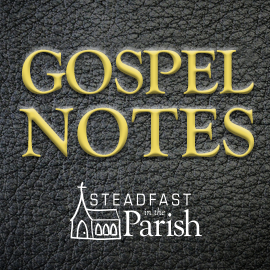 Nowhere is reading the Bible in the assembly (even in the OT church) limited to rabbis or priests alone, or confused with the pastoral office. Schoolchildren read the lessons in church even on Sundays in Wittenberg. The Divine Service is feeding the elect, not evangelizing. It’s both. Contemporary worship is bad. See Augustana VII and the LCMS constitution. It is not history, but doctrine which must be pure in the Divine Service. The LCMS is a synod of orthodox congregations precisely because we take seriously the confessional positions on unity in communion, the pastoral office, the nature of worship, and the primacy of the word of God and sacraments. Steve, I would point out that the agreement in the Gospel is not in a narrow sense as you propose in your parentheses. Rather the agreement is in the entire corpus of Christian doctrine. Herb Mueller openly said to the three ACELC representatives meeting with him and two DP’s from the COP in 2010 that the standard for admission to the altar was agreement in every article of doctrine. I agree with him that this was the historic position of the LCMS and historic Evangelical Lutheranism. Since fellowship at the altar is, in fact, the full expression of church fellowship, it should follow that it is NOT sufficient to merely agree with the Gospel in it’s narrow sense. “It is truly distressing that many of our fellow Christians find the difference between Lutheranism and papism in outward things. It is a pity and dreadful cowardice when one sacrifices the good ancient church customs to please the deluded American sects, lest they accuse one of being papistic! Indeed! Am I to be afraid of a Methodist, who perverts the saving Word, or be ashamed in the matter of my good cause, and not rather rejoice that the sects can tell by our ceremonies that I do not belong to them? The primary question that ought to be asked when making determinations respecting matters of adiaphora is not, “What do we wish to do?”; rather the question ought to be, “What action best preserves and expresses the unity of the church and the unity that God is?” Thus even in matters of adiaphora our Christian freedom in matters that are neither commanded nor forbidden, is not an unhindered freedom but is to be grounded what best builds up and unites the church. Again, it must be asked what is the “down-side” to unity even in matters of adiaphora in our Lord’s Church? Once again the answer is: There isn’t any. The bottom line here is that the LCMS has been in a theological decline at least since 1945 when the infamous Statement of the 44 was swept under the Synodical “rug” and error was left to stand along side the truth of Scripture. Seventy four years is an adequate track record to finally come to a conclusion that the Synod will not right itself. I want to add something to my previous comments on this post regarding worship and its regulation. The standard work on Lutheran theology, encyclopedic in scope and spot-on when it comes to a clear explication of biblical-Lutheran theology, is the “Loci” of Johann Gerhard, being published in English for the first time by Concordia Publishing House. For Lutherans, this work is the Encyclopedia Brittanica of dogmatic theology. Robert Preus said somewhere, I think in his “Theology of Post-Reformation Lutheranism”, that Gerhard dogmatics could not be surpassed. I was reading today in Gerhard’s Loci “On the Ministry, Part Two” (CPH, 2012), under the duties of the pastor, in section 288, which discusses the “preservation of ecclesiastical rituals.” Those who have that volume should read it and learn. Any LCMS pastor who doesn’t have the two volumes “On the Ministry” by Johann Gerhard should ask his spouse, adult children, or elders for those books for Christmas. I am not kidding. You need to read these books, guys! Basically, Gerhard says that it is the pastor’s responsibility to preserve the ecclesiastical rites of the church. What this means is: the pastor is not to allow powerful laymen, wealthy laymen, or a bunch of laymen ganged-up against him, to change the rites and worship of the church; much less should he pander to such people in order to enlarge the membership of his parish or enlarge his salary and benefits. Read Gerhard for yourself on this point, in this section! If you want to find blame for the current mess, the pandering and wimpy pastors get the blame for the corruption of our worship life in the LCMS since the 1970s. They are the ones to blame for this part of the division in the synod, which necessitated the Koinonia Project and other similar efforts. I could name “change-promoting leaders,” but I’d rather talk about the faithful. Many pastors, like Pastor Richard Bolland, the guys in the ACELC, Synod President Harrison, Seminary President Larry Rast, the CTS faculty, Pastor Joshua Scheer, Pastor Tim Rossow, Pastor Todd Wilken, the guys at Gottesdienst, the guys in the LCA, ACL, NICL, Affirm, Balance-Concord, and other pastors, have “stuck to their guns.” They have upheld the synod’s objective in its Constitution to “strive for uniformity” in worship matters. Many of them have suffered for their support of Lutheran doctrine, Lutheran practice, and Lutheran worship. Laymen need to know that if they do not support their pastor when he is under pressure to change worship, or change other Lutheran practices, then they will have no right to complain–ABSOLUTELY NONE–when a new pastor arrives and changes everything. They will have voted for the change by their refusal to support a faithful pastor. In the same way, laymen need to know that if they do not support faithful synodical officers, when change-promoting-organizations try to unseat them or terminate them, then they will have no right to complain–ABSOLUTELY NONE–when a new synod/district/agency officer arrives and changes everything. They will have voted for the change by their refusal to support a faithful leader. We are at that juncture again, in the life of our synod. You have been warned! Pastor Noland couldn’t be more correct in assessing blame on clergy who are either willfully ignorant of their own liturgical heritage and its origins and purposes, or they have simply rejected them as “effective” in bringing in the lost. It is the later group that is primarily responsible for the groups trying to effect change in the leadership of our Synod, but they are aided and abetted by the former. Please note: From one who has been on both sides of these camps (yes, I used to be a CoWo, church growth guy), it takes cajones to be a pastor in these times as in others. The formation of so-called “Worship Committees” occur because some group within the congregation wants to liven things up a bit and usually the youth of the congregation are used as an excuse. In fact, it normally the 40-50 year olds that push for the worship committee so they can do what the pastor has been called to do, only “better”. Don’t get me wrong, the election of an orthodox POTS is important because it makes life for orthodox, Confessional pastors a bit easier. Example: Life under Harrison is much better than life under Kieschnick as Gerry was an avowed enemy of orthodox men. The point I am making is that even after eight years of Harrison, while some improvements have been made here and there, the overall situation in the LCMS remains fundamentally unchanged. This is by-and-large due to the power cartel of the COP and the little Synods that some DP’s have made of their own districts in which they can and do routinely thumb their noses at any doctrine and/or practice they deem lacking. This rebellion against the Lutheran faith (and I am certain that Pastor Noland sees plenty of it in the CNH), is also due to the rank and file pastors in these districts who foster and support the rebellion. I do find it ludicrous that people (inclusive of some Confessional folks) like to style the ACELC as a “Synod within the Synod”, when if you want to see that in reality, one needs only look at the Atlantic District, the Pacific Northwest District, or the two California districts and others who actually do behave in that fashion. But then Saul Alinsky provided the guidelines for demonizing the opposition as being guilty of the very things that they themselves do. It works in the church too. The real question is not whether or not things can be made a bit better here and there in the hope that somewhere down the road things as a whole will get better, but whether or not you actually believe that can happen? In my opinion, that would require the purging of the Synod of every non-liturgical, open communion, church growth congregation in the Synod. It would require the repentance or removal of every false teacher in the Synod. That is never, never going to happen! There is no will to go there. Therefore, it will not change. This, of course, makes a mockery out of being a Synod that only pretends to be walking together. I wish it weren’t so, but it is. Thus, we’ve become a broken, split synod and shall remain so. That is why I am trying to be honest in assessing the situation and concluding that I do not want to be a part of a Synod that isn’t really a Synod at all, but mocks the very idea of Synod. If you want a Synod that actually is a Synod in the true sense of the term, then you’re going to have to make your own. Philip Schaff once addressed a gathering of the Berlin mission society in 1854, and attempted to describe American Lutheranism to them. He called “Neo Lutheran” those who were an amalgam of Puritanism, Methodism, and Lutheranism. What they lacked in theological acumen they made up for in practicality, progressivism, English, business sense, routine sophistication, and eloquence. “Old Lutherans,” by comparison, were theologically grounded, green, German, unblended into American society, and lacking in the American spirit. I think the reason all the 40-50 year olds like CoWo is precisely because nothing has changed. Everyone wants to be liked, to blend in, to join the crowd. Even the WELS started out as a typical American Lutheran church with no liturgy. This was Walther’s lament. We subscribe wholeheartedly to the well-known maxim ‘In necessaries unites, in dubiis libertas, in omnibus caritas’ (in essentials, unity; in doubtful things, liberty; in all things, charity). We do so, however, not in a unionistic sense, which places even the doctrine of the means of grace into the category of doubtful things. We do so in the sense: that we gladly permit anyone to harbor his private opinions in matters which are not contrary to the Word of God, as long as he does not attempt to subject anyone else’s conscience to his. So little is unity in the form and method of doctrine the goal of our endeavors that we rather heartily rejoice in the multiplicity of spiritual gifts, which in this respect are given free play for their development. Our union stipulates agreement in ceremonies only insofar as this unity is required by the confessional rites of our church. Unity in practice is of great value to us, to be sure, but only insofar as the unhindered edification of the church depends upon a common foundation and as faithfulness to the Confessions requires it. …we see that it is not we-when we break with and keep our distance from the heterodox-that distance from the heterodox that disturb and splinter the unity of the church, as we have been falsely blamed, but they themselves who cause division and offense contrary to the pure, saving doctrine of the Word of God. St. Paul says, 1 Cor. 11:19: ‘For there must be factions among you, so that those who are approved may become manifest among you.’ According to the original text, ‘faction’ (haireses) here means a fellowship of people who teach a false doctrine contrary to one or more articles of faith, therefore a sect. And one who withdraws from such sects is revealed as an orthodox Christian. The Christians who unknowingly remain among them might well remain Christians through the wonderful gracious preservation of God, but they are just revealed to us as such.” Then Walther writes respecting 1 Cor. 10:18: ‘Do not those who eat the sacrifices share the altar?’ This text Walther sees this way. “From this we learn what is essential to such a separation on our part from the false church, namely this, that we refrain from all public-worship fellowship with it. Because just as those Corinthians who ate of the heathen idol scarifies engaged in fellowship with the heathen, so even now a Christian engages in fellowship with the heterodox church by taking part in false public worship.” Walther goes on for quite a while on this and when one is finished reading and digesting what he has written, there can be no doubt but that if Walther were around today he would never join the LCMS and if he belonged to it he would understand the Synod to be a sect rather than a manifestation of Christ’s Church and would leave it. The source for the above writings of C.F.W. Walther is: Walther, C.F.W.,(Lawrence White, trans.) Essays for the Church, vol. I, “Communion Fellowship”, Concordia Publishing House, St. Louis, 1992, pp. 210-211. This congregation was one of the first to join the ACELC. Guess they finally realized the reality of the situation. Weren’t those in fact “school boys”? Ordinarily, yes. Bugenhagen has an entire section in his Church Order for Brunswick “On the singing and reading of children in church.” Boys choirs and readers were the norm, but there exist also alternate settings of the antiphons for girls choirs. “Antiphons for girls’ choirs” are not equivalent to women readers in the chancel. Choirs have their place, elsewhere. Intentionally synergize revolutionary new foundations.